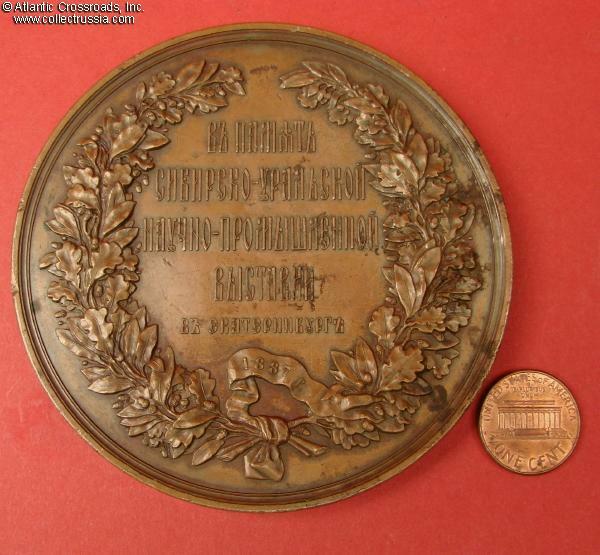 Siberia-Ural Scientific and Industrial Exhibition in Ekaterinburg 1887 , Table Medal in Bronze. 87.4 mm wide; weighs 322.0 grams. 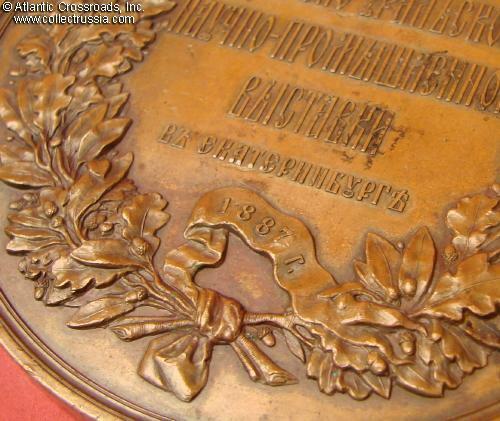 Unsigned but the engravers are known to be A. Griliches Sr. and V. Nikonov. 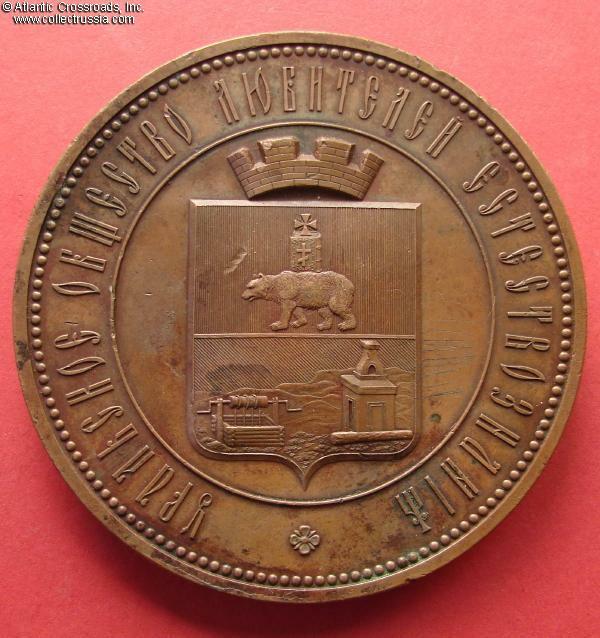 Obverse shows the Ekaterinburg's imperial-era coat of arms (in a very different style than the municipal heraldry in Western Europe!) and the inscription "Ural Society of Devotees of Natural Science". 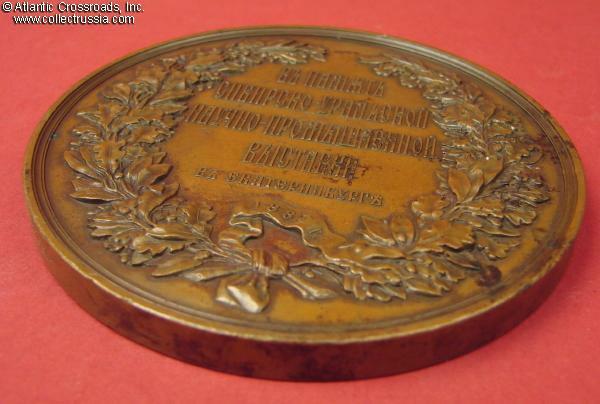 Reverse inscribed "In Memory of Siberia-Ural Scientific and Industrial Exhibition in Ekaterinburg" and "1887". Very fine condition. 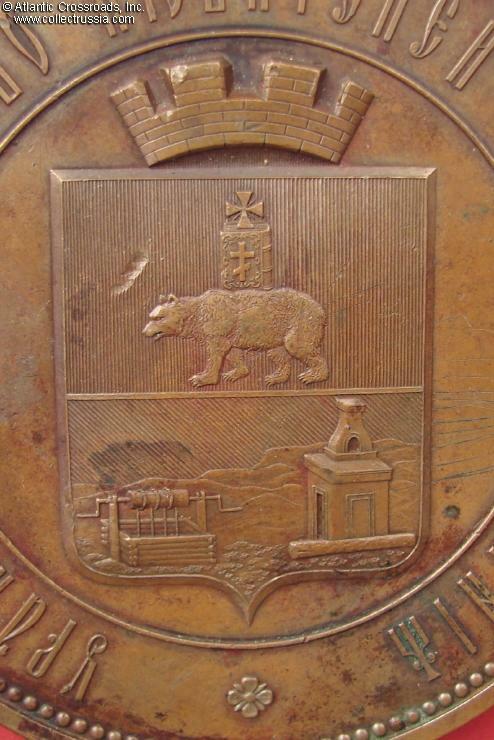 General toning to a chocolate color caused by age, tiny edge knocks along outer rim, slight dings to the crown on coat of arms and one ding above bear's head on the coat of arms (at about ten o'clock). 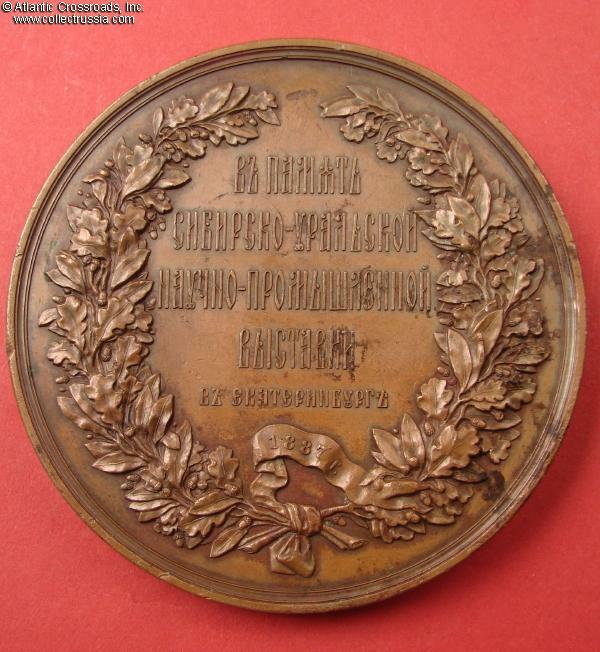 /Mikhail Dyakov, "Medals of the Russian Empire, Part 6, 1881-1894", page 110, fig. 995.1/ heaviest!